Siemens Mobility has said it would be “happy to play its part” in the delivery and financing of major electrification work in the UK. 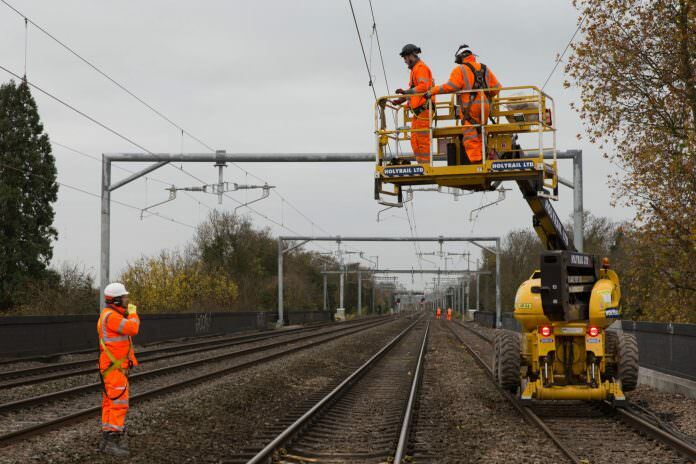 The announcement follows a pledge by the UK government to give Network Rail £47.9 billion in funding for Control Period 6, from 1 April 2019 to 31 March 2024. In a statement, Siemens Mobility UK’s managing director, Gordon Wakeford, said that the company welcomed the government’s willingness to find new approaches to the delivery of major rail upgrade projects, referring to Network Rail’s plans to seek more private-sector investment for rail infrastructure upgrades. This follows the recommendations made in the Hansford Review. Wakeford added: “Siemens welcomes today’s announcement, and is looking forward to continuing our long-term partnerships with Network Rail. “We also welcome the government’s apparent willingness to find new and innovative ways to deliver major rail upgrade projects. Will this government not wake up. Electrification is expensive, outdated,complicated, inconvenient and just a job creation scheme. The country should be looking forward to the future with new technology which provide super fast rail travel for the 21 st century. The vacuum system is the answer and Mr Brunel new it nearly 200 yrs ago. Everything you have said there is complete and utter nonsense. Unbelievable! Sounds good on what Siemens could finance the electrification scheme such as they could finance to allow Network Rail to electrify the Midland Main Line (north of Bedford) to Kettering, Corby, Nottingham, Derby, Sheffield and Leeds. Along with new EMU and Bi-Mode trains to be built. Plus Thameslink could extend to Wellingborough, Corby and Kettering if the electrification does get the go ahead. And also to electrify the Selby-Hull line in which the Hitachi Class 802’s IET rolling stocks are ideal if electrification isn’t needed and Hull Trains have ordered 5 Class 802’s.